and urethanes. All sealers provide protection, but our specialists at Keystone Waterproofing determine which are most applicable for your structures unique needs. Whether for preservation, sealing leaks, resisting chemical attack, preventing further deterioration, or just for decoration, our qualified personnel can solve your individual problems by recommending the proper materials and process. Keystone Waterproofing is a licensed applicator for a variety of protective and penetrating deck coatings and liners. Our mechanics have been thoroughly trained in the application of elastameric polyurethane deck coatings as well as a wide range of penetrating copolymer and epoxy sealants. 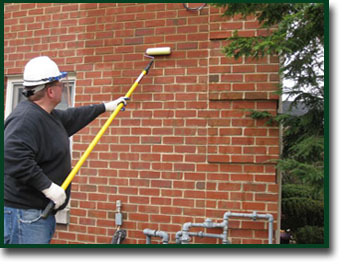 The type of sealant or coating is carefully selected and applied according to the demands of the repair. Variables such as job performance, life expectancy, durability, cost and more, are considered when material is chosen. All sealants are applied as per manufacturers recommendations.